Many parties, including UN Secretary General Antonio Guiterres, hoped that China would take leadership actions in the climate change negotiations after the US government under Donald Trump took skeptical about climate change. China joined together with G77 countries have urged developed countries to take responsibility in overcoming climate change. In the opening speech of COP24 in Katowice, Poland which was just finished, the G77 and China urged the transfer of technology from developed to developing countries in climate change mitigation and adaptation. China adalah negara yang paling besar melakukan investasi energi terbarukan untuk dalam negeri, sebesar 102,9 milyar $AS pada tahun 2015, sementara itu Amerika Serikat jauh lebih kecil yakni sebanya 44,1 milyar $AS (Laporan Institute for Energy Economics and Financial Analysis, IEEFA, 2017). Hal ini tentu diapresiasi. China is the largest investment in renewable energy in each its domestic country, amounting to US $ 102.9 billion in 2015, while the United States is much smaller at US $ 44.1 billion (Report of the Institute for Energy Economics and Financial Analysis, IEEFA, 2017). This is certainly appreciated. China is expected to take more action to tackle climate change. Investment from China is currently listed as one of the largest in the coal energy sector. 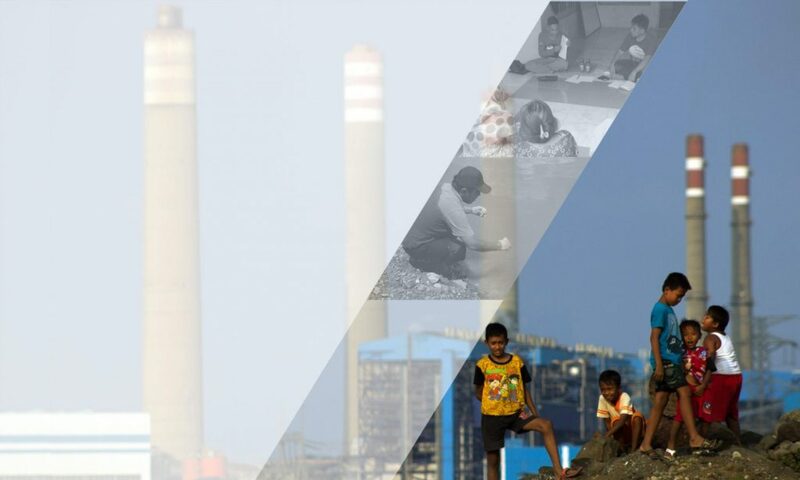 Among them are Java 7, South Sumatra, Celukan Bawang coal-fired power plant in the form of ownership with a total capacity of 3,666 MW, which will consume 12.8 million tons of coal per year, which will produce more than 12 million tons of carbon dioxide per year. The existence of coal power plant investments from China has begun in the Susilo Bambang Yudhoyono’s Government through the Fast Track Program I (FTP I) of 10,000 MW and FTP II of 17,918 MW and 35,000 MW programs during the current Jokowi’s administration. In China itself, the coal-fired power plant has been reduced. Recorded in China as many as 150 coal power plants have been suspended to achieve the target of reducing greenhouse gases emissions and overcoming pollution. The Chinese government, as well as other countries such as Japan, argue that they are still supporting coal abroad because their partner countries are still developing coal-fired power plants. This is certainly contrary to the spirit of foreign investment policies made by China. The Green Credit Guidelines issued by the Bank of China Regulatory Commission in 2007 directed foreign projects supported by funding from China in line with international good practice. Several international financial institutions have stopped funding coal, this development is a good standard of practice amid the urgent actions to reduce greenhouse gas emissions. The Chinese government needs to show its leadership globally in stifling the pace of climate change by reconsidering (withdrawing or canceling) its investments from fossil energy projects. In the time global trend to leave coal, Indonesia is increasingly consumptive in this type of energy. Various rejections have come from residents and local and international organizations because they are vulnerable to ecology and social relations, but the construction of the power plant continues in a number of regions. The rate of power plant construction is higher than other energy, and until 2017 coal dominates the national energy supply, which is 57.22% (LAKIN DJK 2017). Meanwhile, renewable energy moves slowly and shows signs of heavy homework to reach the target of 20% in 2025. The Minister of Indonesian National Development Planning, Bambang Brodjonegoro, at the 24th Climate Change Summit in Katowice, Poland, said the three aspects that the Indonesian government sought to mitigate climate change were the use of renewable energy, forest rejuvenation and more efficient transportation. In the energy sector, the report compiled by Germanwatch, the New Climate Institute and Climate Action, 2018, shows Indonesia’s performance is relatively low (from four categories: high, medium, low and very low) for renewable energy. The report said, the lack of an effective mechanism was one of the factors supporting the slowdown in the development of renewable energy. The old style development paradigm that upholds economic growth but despite ecological sustainability is naturally overhauled. The refusal of citizens and a number of environmental organizations should be noted as consideration by business people and decision makers. For a long time the Indonesian people became victims of operating fossil fuel-based power plants that disturbed their social and ecological “peace”. This injustice in the supply of energy which sacrifices residents around the plant needs to be stopped by switching to renewable energy.